Kevan Lyon is a founding partner of Marsal Lyon Literary Agency. With over 25 years in the publishing business, including over 10 years as a literary agent and 17+ years on the wholesale, retail and distribution side of the business, Kevan brings an informed and unique perspective to her work with clients. Her background on the buying and retail side of publishing affords her helpful insight into what types of books will sell and how to market them. Kevan holds an MBA from the Anderson School of Management at UCLA. Kevan handles women’s fiction, with an emphasis on commercial women’s fiction and all genres of romance. Kevan works with her authors to help them realize their dreams of being published and to build a long term career as a writer, and strives to partner with her clients on all phases of the publishing path. Authors on Kevan’s list span a broad range of genres in women’s fiction including historical fiction, romance, mystery, literary, commercial fiction and young adult. She loves to be swept away by a captivating story and fresh narrative voice. 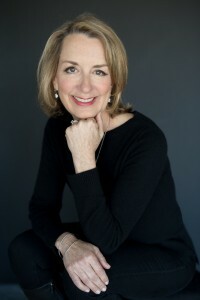 Kevan represents numerous New York Times, USA Today and internationally bestselling authors including Rachel Hollis, Kate Quinn, Jennifer L. Armentrout, Jamie McGuire, Laura Kaye, Stephanie Dray, Chanel Cleeton, Jennifer Probst, Kristen Proby, Shelley Noble, Julie Kenner, Laura Griffin, and Jennifer Robson, among others. Follow Kevan on Twitter at @KevanLyon.